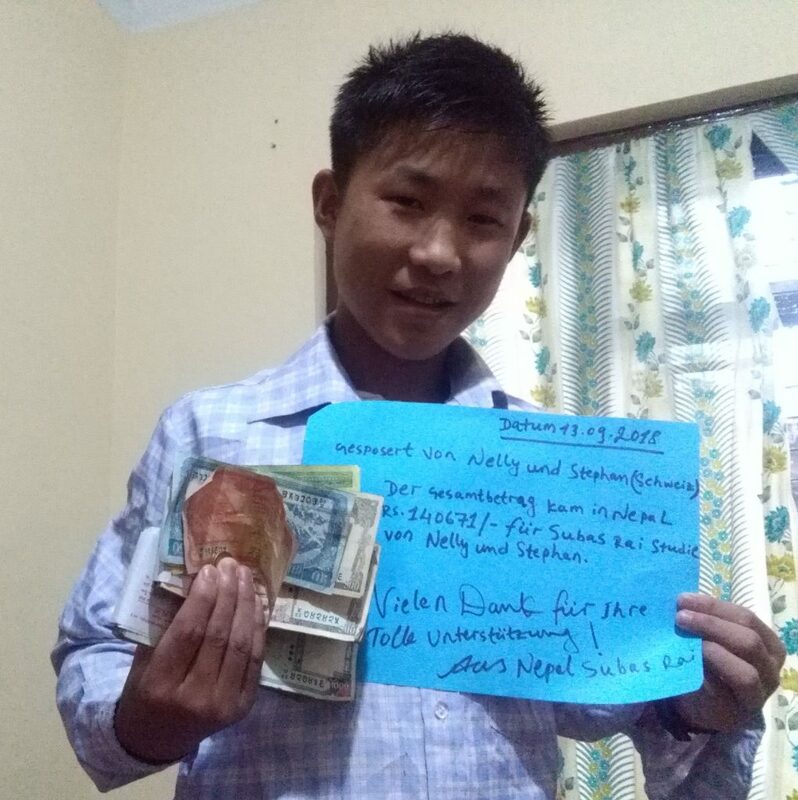 Subas Rai was born in Solukhumbu district in 13.08.2001.He has passed class 10 from the village where he was born.His parents are farmer in the village. Also his father is deaf and his family background is poor. Although he would like to learn Technical knowledge which is called Nepal Polytechnical course in Nepal (Kathmandu).This is 18 months course.This course cost is Rs.130000/- This amount is very big amount for his parents to spend for him from the village. That’s why ,for his bright future we had requested to Switzerland Clients. And for his this course has been sponsored by Switzerland clients Nelly and Stephan.We say thank you so much to clients for your this great supports to Subas Rai. Wir, Stephan und Nelly aus der Schweiz sind froh eine Möglichkeit gefunden zu haben um Subas Rai zu unterstützen, damit er für 18 Monate an einem technischen Studium in Kathmandu teilnehmen kann. Was für uns in der Schweiz fast selbstverständlich ist, nämlich den Beruf zu lernen den man möchte, wäre für Subas Rai ohne Unterstützung einfach nicht möglich. Auch wenn man nur Einzelnen helfen kann, so ist es für diejenige Person eine grosse Freude und eine grosse Chance, später auch seine Familie zu unterstützen. Wir wünschen jedenfalls Subas Rai einen guten Start und alles Gute für seine Zukunft. 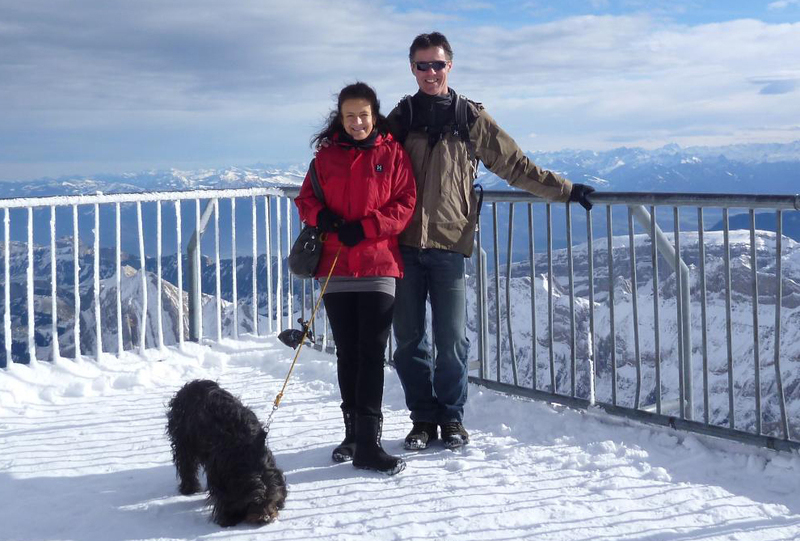 We, Stephan and Nelly come from Switzerland and we are glad we have found the opportunity Subas Rai to support, with that he can attend for 18 months at a technical study in Kathmandu. In Switzerland is it only natural, that you can learn what you want, but for Subas Rai it would be impossible without a support. Even though we can just help one person, so is it for this person a great pleasure and a good chance, later to help his family too. Anyway we wish Subas Rai a good start and all the best for his future.